Cashews are like the best thing in the world, no really! They’re not something I often buy as they cost a pretty penny (or maybe I am just stingey?) but when ever they are on offer I snaffle up a couple of packs and use them for everything. They make the creamiest vegan milks, and if your’ve never had a cashew based vegan cheese cake, I’m sorry to say I feel a little bit bad for you….This recipe here is not only tasty, but it makes a pretty little dome, perfect for the centre of a vegan cheese board don’tcha think? I am going to be making this to go with the obligatory Christmas cracker selection we get every year, I might even go crazy and make a whole range of vegan cheeses, who knows. Soak the cashews in water in the fridge overnight, or up to 24 hours. In the morning drain and rinse the cashews and add to a blender/ food processor with the cider vinegar, lemon juice and water, blend until smooth as possible adding up too another 2 tbsp of water if necessary. Transfer the cashew purée to a mixing bowl and fold in the remaining ingredients. Line a small 6″ sieve with cheese cloth and place the sieve over a bowl. Add in the cashew mixture, smooth out the top and carefully fold over the sides of the cheese cloth. leave on the side for about two hours and discard the liquid that has drained out into the bowl. Place in the fridge overnight to allow even more water to drain and the cream cheese to firm up. After allowing to sit overnight, carefully unfold the cheese cloth and turn the cashew cream cheese dome out onto a plate. Serve with crackers or crostini. This entry was posted in gluten free, side dishes, snacks and appertisers and tagged cheese, dairy free, easy vegan, food, gluten free, recipe, vegan, vegan christmas. Bookmark the permalink. Hmm sounds and looks delicious 🙂 do you know if it´s possible to make vegan cheese without nuts or soy? If you can make coconut yogurt, you could strain it until it is the consistency of cheese. I’ve always wanted to try. Mmmmmm mmmm mmmm! That. Is. All. Thanks so much for posting this, it sounds gorgeous! This looks like a great recipe. I usually avoid vegan cheeses because they are all based so heavily on oil and I don’t find congealed oil very tasty at all. I like this recipe because you are using a whole food — cashews — as the base and I’m definitely going to make this for the holidays. I think this is a wonderful recipe. I appreciate the simplicity and ease of preparation and the envitable delicious taste. Thank you! I looooooove cashew cheese. Thanks for reminding me that I’m in serious need of making some! I love cashews and this looks delicious! I’ll have to make this! This looks absolutely yummy. I will try this sometime. By the way you are darn right about the price of cashew. I don’t buy them frequently either because of the price. I try to cheat and use sunflower seeds instead. That looks just delicious! I must say, discovering cashew cream changed my life. Now I use it on everything! This would make a great Thanksgiving appetizer!! Love cashew cream, but I’m out! Do you think this would work with pine nuts? Oh my…this looks so good! 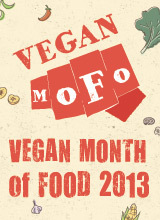 Definitely going to be giving this recipe a go, I’ve never tried making vegan cheese! Pingback: 14 Vegan Cheeses That Will Make You Forget About The Real Thing | Hype Seek !! I dont control the print out feature, this is a worpress blog and you used to be able to change the font but it wont let me do this anymore, would pay for the premium editing stuff, but i live in a homeless shelter so cant reaaalllllyyyy afford that. Sorry you think my blog is naff. but have you tried just copy and pasting the info you need onto word?? Just tried it and man is it good! Used scallions instead of spring onions as that is what I had on hand. I can see do multiple variations of this in future. I am not a fan of sour, so I think next time I’ll scale back the vinegar and lemon. But it was still fantastic for a vegan spread! Have you ever tried using the finished product as an additional ingredient in a baked dish? Say…added to baked spaghetti squash? Trying to concoct a low-carb, vegan, gluten free side dish for a crowd. I have used it to top salads and other things, added a load of it into a potato gratin once, was good….. I just suggest trying it in advance before you make it for guests just to be on the safe side…. I am finally going to try making Cashew “Cream Cheese” – thank you – you made it sound so easy!! Beautiful pics BTW!! Sounds so good! I’m trying this recipe tonight, but I don’t want to make too much in case i’m not able to eat it up and it goes bad. Do you know how many cups does it yield? 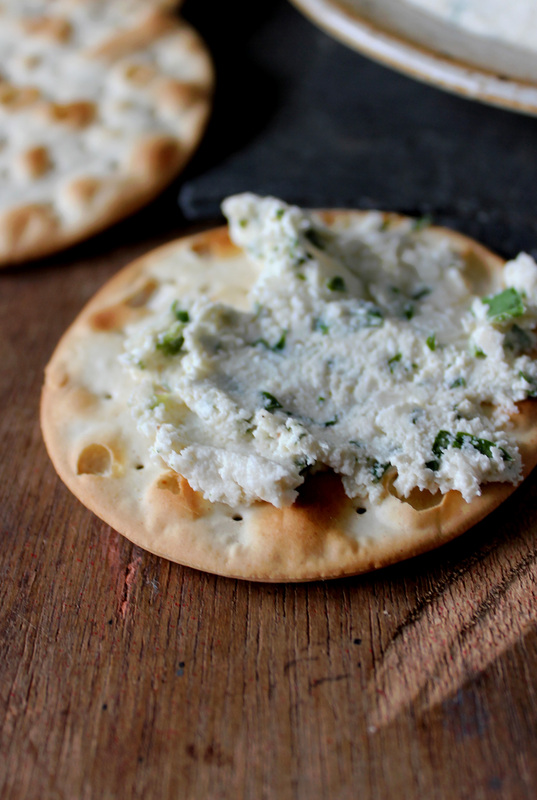 Pingback: Pure Deliciousness: Cashew cream cheese | Live Life Fully! Thank you for this recipe. I will try it!